Any boat, any water condition. Amongst the chaos of the modern world, a new movement is emerging. Individuals are seeking wild, natural places, foregoing the comfort and connectivity of the modern world, for adventure and uncertainty in the natural world. Weekends once reserved for shopping and consuming are being replaced with an explosion in camping, surf safaris and exploratory backcountry skiing and snowboarding. Why can’t water skiing be included in this fun? HO envisions a world where city dwellers escape to the beach on weekends to surf, fish, camp AND WATER SKI. A dream of bumming a ride off a local fisherman for a dawn patrol water ski session before a day spent hiking in the forest. Or what about a weekend camping trip with your friend’s jetski to explore the lake you always dreamed of laying turns on. Don’t you want to seek out what is around the next bend in the river? Slalom courses, manmade ski lakes and tournament ski boats will always be a part of water skiing, but there can also be so much more. With the right ski and hardy sense of adventure, water skiing’s future can be wide open again. It is with this intention that EVO was created: A water ski to introduce new participants to a sense of adventure and the experience of skiing on water; A water ski to break tournament skiers out of our routines, to reintroduce us to participating with the public and discover a new way to fall in love with skiing again; A water ski to ignite the Adventure Skiing Movement and define the evolution of water skiing. This revolutionary ski technology allows skiers to ski behind any boat, at any speed, in any water condition. The beveled edge of a traditional waterski allows water to wrap around the bottom of the ski and up the sidewall where it finally releases off the ski’s top edge. Clean Edge is bevel-less and the sidewalls are rotated inward like wakeboard edge. 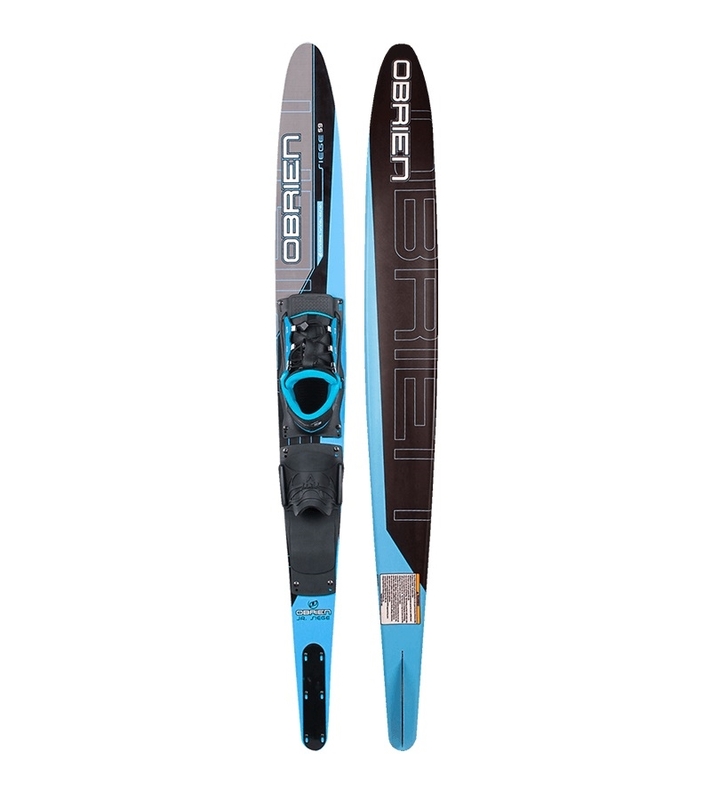 This combination causes water to release cleanly off the ski’s bottom surface resulting in a 50% less drag than conventional skis. Less drag equals more lift and it is the lift on the rear 50% of the Freeride’s running length that enables low drag skiing with less spray and effort. 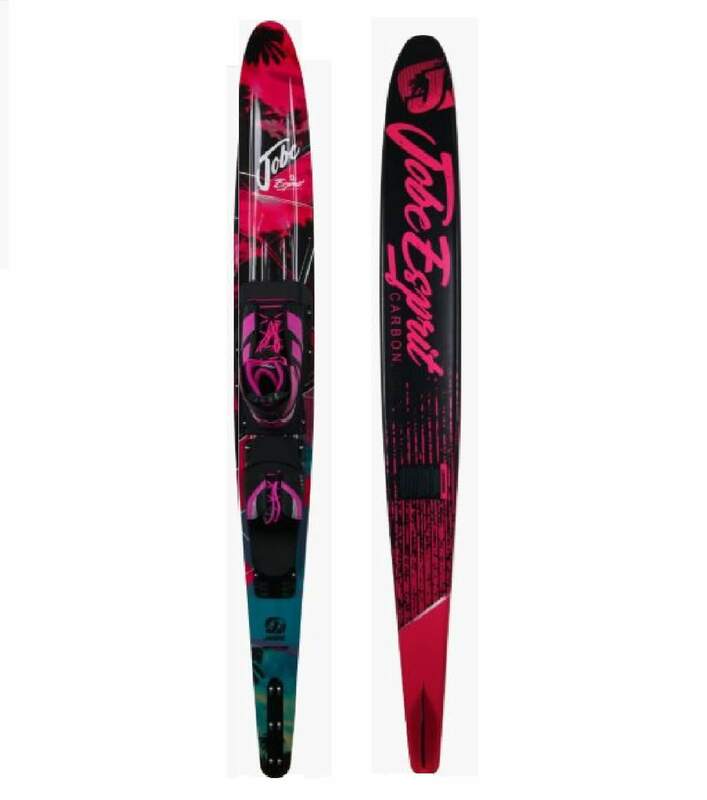 From under the skier’s front foot through the forebody of the ski, the Freeride utilizes a traditional ski edge design. This rounded edge rides deeper in the water for the stability skiers need. Steep entry concave for amazing edge hold when laying down powerful arcs. We’ve taken the traditional 2D waterski fin model to the next level by creating a NACA Airfoil inspired 3-dimensional fin for more lift and lower drag. Acting like an airplane wing, this surf style fin enhances ski versatility by increasing glide speed and turning properties. The traditional boot plate, with its perimeter mounted hardware, creates an artificially leveraged slalom ski. As the skier’s center of mass shifts off the side of the ski in a typical slalom cut, the traditional boot plate imparts an abrupt push and pull force on the ski’s edges. Similar to a light switch, the ski is either “on” or “off” edge. HO’s Direct Connect Mounting System replaces the traditional light switch with a modern dimmer switch! Imagine have ability to control the exact edge angle you desire, without being limited to the binary on/off edge pressure of a traditional boot plate. Just like an airplane rolls about its longitudinal axis, HO’s Direct Connect allows a slalom ski to roll about is longitudinal axis. The result is a natural edge angle feel where the skier is in completely control to choose desired edge angle. Don’t let the marketing department fool you; no floating plate system eliminates a traditional boot plate’s effect on ski flex. 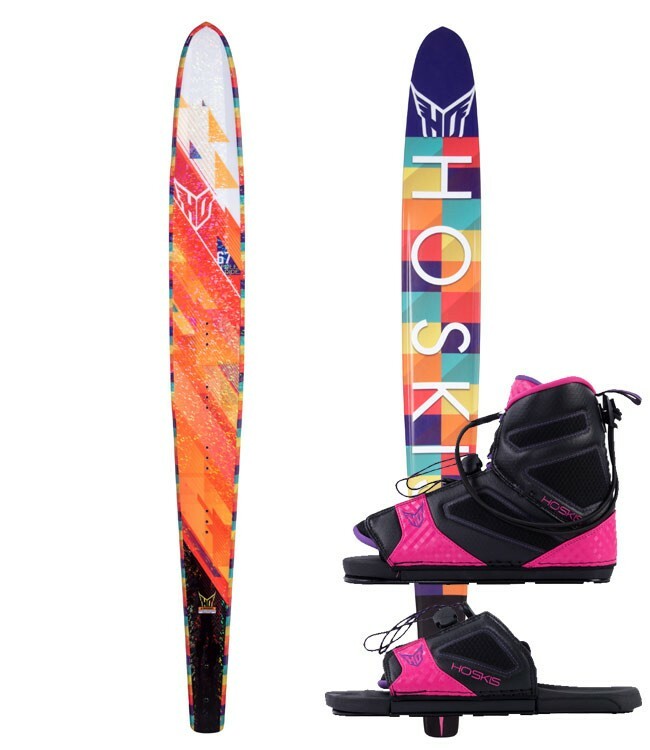 HO’s Direct Connect System reduces the ski boot’s flex footprint dead spot by up to 50%. With Direct Connect, the ski is allowed to flex more closely to its intended design, allowing for smoother and tighter slalom turns. For years slalom skiers have been able to adjust fin location to the thousandth of an inch. But at the same time, skiers have been limited to large incremental boot adjustment, due to the mounting holes on traditional boot plates. Not anymore! HO’s Direct Connect Mounting System allows skiers infinite fore and aft boot adjustment. Now skiers can fine tune boot position as accurately as fin location, ensuring optimum ski setup. In addition, Direct Connect allows for up to +/- 7 degrees of boot rotation. The days of limiting your natural slalom stance, due to your boot plate hanging over the side of the ski, are over! The MAX Ski Boot Collection was conceptualized, designed and created on this minimalist ideal. The xMAX and freeMAX slalom ski boots give skiers a window into the future of water ski boot form and function. Combining the art of traditional “old world” lasting techniques with cutting edge footwear materials, HO has created the industry’s best fitting, most comfortable collection of water ski boots. The addition of HO’s Direct Connect Mounting System pushes water ski boot performance to a new level, unobtainable with traditional boot plates. With hundreds of hours of fit and on-water testing, the MAX Ski Boot Collection redefines what can be expected from a water ski boot.